The second full day of a brief wine trip to Paso Robles was packed full of great experiences, wine education and fabulous food. I’m going to work at getting today’s activities into a couple of blog entries Friday at airports, on planes, and while making my way home. It’s late tonight and I have a very, very early flight. A brief overview includes a ride out into Morrow Bay on the Pacific to discuss oyster farming, a visit to an abalone farm to learn about that expensive and rare delicacy, and the best darn little cookies you’ve ever had from the Brown Butter Cookie company. I’ll link that up later. Friday afternoon included a quick seminar and tasting with some of the top Rhone varietal producers in the region. 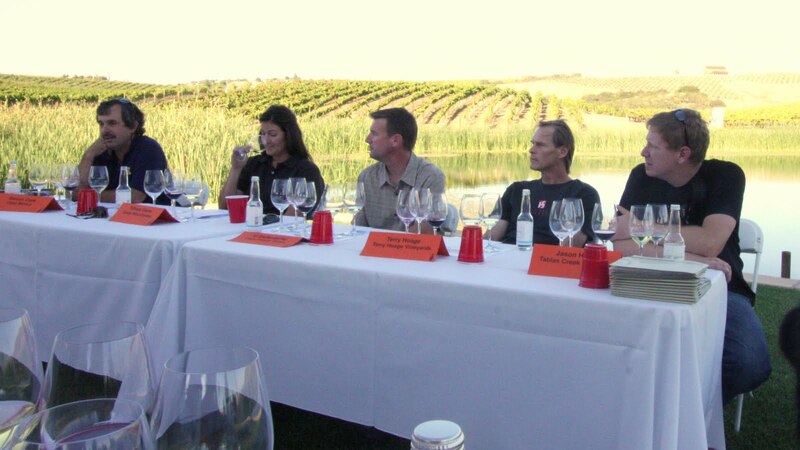 Jason Haas of Tablas Creek led the discussion along with four other Rhone winery producers. It was one of the best sessions of the trip. Beside just getting today’s activities up, I have a lot of photos and a couple of videos I’ll be posting over the next few days. Paso Robles is offering some absolutely big, fruit-forward wines but with good acidity any wine lover can embrace. A lot more to come, but it’s late! In photos: At top, the Rhone varietal producers talk about their wines at the beautiful Hoage Vineyards. 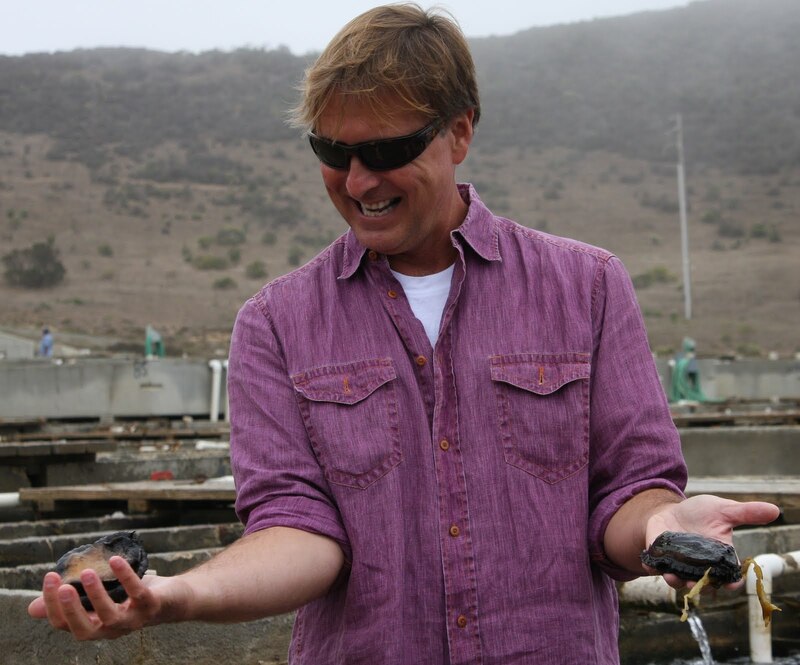 Photo at right, Brad Buckley of the Abalone Farm holding an abalone in each hand.